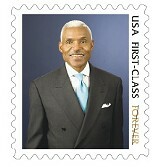 Memphis mayor A C Wharton writes letter in response to Forbes, encourages other citizens to do so. Memphis mayor A C Wharton has never written a letter to The Commercial Appeal or the Flyer or any other print publication to let them know they've gotten something wrong. "I've never gotten into arguments with the newspaper," he said. "You can never convince them that they're wrong. ... The best way to correct a story is to show them that I have it right." But with Forbes recently naming Memphis the third most miserable city in the United States, Wharton is taking issue. The magazine looked at the 200 largest metro areas and judged them on nine factors: commute times, public corruption, pro sports teams, Superfund sites, income and sales tax, unemployment, violent crime, and weather. The most miserable city was Cleveland, Ohio, followed closely by last year's most miserable city, Stockton, California. Forbes noted Memphis' violent-crime rate, as well as an "alarming rate of convicted public officials." The city actually fared worse last year, coming in second, and the magazine then cited Memphis' high sales-tax rate and the Grizzlies' losing record. "By your own criteria, there are far more cities on your list that have far higher unemployment and far longer commute times than Memphis. Most of them lack professional sports altogether. Violent crime in Memphis is steadily declining. There is a new era of transparency and ethical behavior in City Hall, due to a couple of executive orders that I drafted and signed when I took office last October. The sun shines here 230 days a year." As part of what Wharton calls a crusade, the administration also is urging other Memphians to write their own letters to Forbes with their take on the city. Wharton will visit any organization or company that writes 500 letters — stamped and sealed — and personally take those letters to the post office. Why? For Wharton, Forbes isn't the target. Though his letter is addressed to Steve Forbes, Wharton is really writing to Memphians. "This is more for the internal audience," Wharton said at a press conference Monday afternoon. "I want the folks here at home to feel good about themselves ... and I want us to exude that in everything we do." In some ways, this may be modern Memphis' Time. My colleague John Branston wrote recently on the Flyer's website about how Time magazine's calling Memphis a backwater town became a call to action within the city. Indeed, Wharton said he wants to use the designation as an opportunity for introspection. "We have to be honest: We do have our challenges, but don't stop there. What are we going to do about them?" he said. Especially on top of the other lists — the most violent, the fattest — that the city seems to keep finding itself on. Who would want to live in, much less love, a city that tops the charts in danger, obesity, and misery? And maybe that points to Memphis' strongest asset: its people. It's difficult to put a measure on a place's people. You can measure their successes; you can see the Holiday Inns, the AutoZones, and the FedExes. To me, Memphis is full of people who look at problems and see possibilities; people who — maybe out of necessity, maybe out of a sense of community — step up, take charge, and persevere. People like Bob Schreiber, who started working on the Greater Memphis Greenline idea years ago. Aaron Shafer looks at an underutilized park on Mud Island and sees the possibility for skate tourism. John Kirkscey looks at a parking garage and an old library on Front Street and sees an opportunity for an arts park. My new friend Dwayne Jones looks at a seven-acre vacant lot behind Melrose High School — one that's been on the market for a while — and sees one of the area's largest community gardens. Margot McNeeley saw waste in area restaurants and started Project Green Fork. The Memphis Farmers Market saw a rarely used bus station and turned it into an outdoor market. The unfortunate part is that it's not just about how Memphians feel about their own city. Certainly, a citywide self-esteem boost couldn't hurt, but we also have to consider what this latest Forbes list says to the people and companies who are thinking about relocating here. As part of his letter, Wharton invited Steve Forbes to visit the city. He also mentioned that he hoped Forbes would send a team to Memphis the way Time has recently sent a team of reporters to cover Detroit. "For all the problems you might show me, I can point to a legion of government agencies, non-profit organizations, churches, volunteer groups, and grassroots activists working together as one Memphis to find a solution," he wrote. "We've tapped into the right vein, and I'm not going to let Forbes or anyone else sully that."